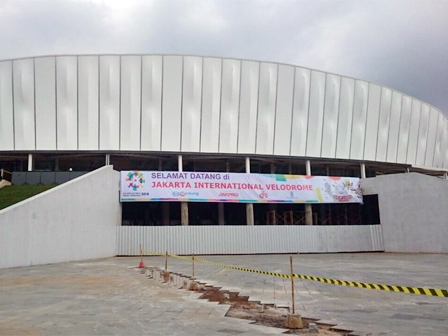 City International Velodrome Project Director, Iwan Takwin said, the Velodrome project in Rawamangun area, East Jakarta has reached 90 percent.
" The Veldorome project has touched 90 percent, like bike track installation, electronic mechanical device test, finishing of architecture, and landscape"
"The Veldorome project has touched 90 percent, like bike track installation, electronic mechanical device test, finishing of architecture, and landscape," he expressed, Tuesday (3/27). He also told the audience stands, lighting, sound system and electric panels, have also been completed and tested. Currently his side is focused on the acceleration of project work to be completed before the fasting month. "Aside that we're also looking to get the International certificate from World Bicycle Federation (UCI)," he stated.